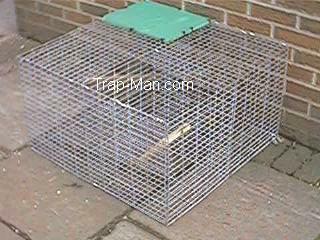 How to catch crows and magpies legally using a top entry twin capture metal Larsen cage trap. 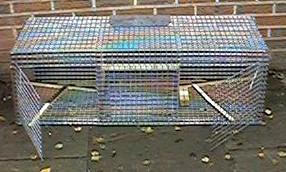 Larsen traps are now among the most effective design live catch bird traps.Top entry Larsen traps are used for catching members of the Corvid or crow family ( magpies, crows, jays, jackdaws and rooks) and are particularly effective in catching magpies. The Larsen trap was designed in the 1950s and is now available in many different designs, basically a top entry twin capture, Larsen trap as pictured below is more suited to catching magpies and our side entry Corvid trap is a good all round trap for all the corvid species.